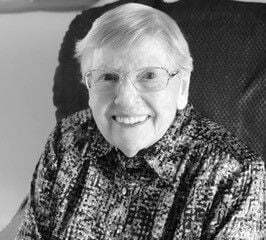 A Celebration of Life Honoring Eileen is to be held on Saturday, April 13, at 1 p.m . Please join us at the Daly Leach Memorial Chapel and give a nod to Eileen. The address is, 1010 West Main Street, Hamilton, MT 59840, Tel: 1-406-363-2010. A Cookie Reception to follow. Eileen loved cookies.